This article was highlighted by Piers Berry of Pinion watches on Instagram yesterday. 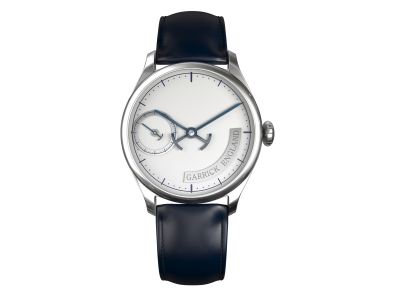 I have not come across the CAPX website before; they say they bring the best writing on politics, economics, markets and ideas, underpinned by a commitment to make the case for popular capitalism.Furthermore they are bringing the world of British watch brands to a wider audience I am all in favour. If you just want to read the article here it is. When we think of the things Britain is famous for making and selling to the world what springs to mind? Back in the day we might have thought of the might of British industry; ships, aircraft, railways and giant feats of engineering. In more recent times high end cars and fashionable clothes. Music and literature too, I suppose. What most people don’t think of when this conversation comes around is watches and clocks and that’s a pity because in historical terms Britain, especially England, can claim to have been at the forefront of the development and commercialisation of both. It’s one of the areas we could be proudest of, were we more aware of it. To give you an idea of the extent of English horological history, London’s Worshipful Company of Clockmakers was founded in 1631. It’s heading for its 500th anniversary. I’m afraid you IT consultants and call centre managers have a way to go. In fact some of the great names in the history of using mechanical instruments to accurately measure time are British: Graham, Dent, Arnold, Tompion, Harrison and Mudge, for example. It would also be a mistake to think that British makers produced only high-end pieces in small numbers. According to expert Laura McCreddie, writing in Retail Jeweller magazine, a House of Commons report from 1796 gives the number of watches being stamped that year in London’s Goldsmith’s Hall alone as 191,678. Sadly, as in so much else where we led the way in innovating and manufacturing, watch and clockmaking became things other countries did best and turned in to major export industries of their own in latter years. In fact by the time all things British were at their most desirable, in the 1960s, the British watch industry had withered to almost nothing. By then if a watch didn’t say “Swiss made” nobody was much interested, and so it has remained. Until now. British watchmaking, or perhaps we should say British watches, are back; and back with a mighty boom. There are real British alternatives to Switzerland out there now in almost every price range and for the buyer looking for something a little different from the crowd they offer a host of refreshing options. They’re also selling in greater and greater numbers as the British alternative becomes a normal area to explore, just as the German one has always been for those in the know. Let’s also get something out of the way early here. As British watch brands have risen in recent years there has been much discussion, and heated argument, about what constitutes a “British watch”. 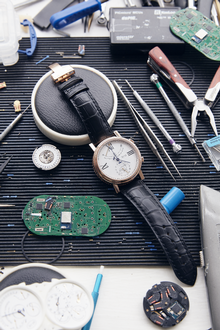 Purists say the tag should start and stop at master craftsman like Roger Smith, hand-making watches from the ground up in their own workshops. Others insist this is economically silly, given that masterpieces like Smith’s cost upwards of £200,000. If you set the bar there, they say, there wouldn’t be a British watch industry, just two or three bespoke British watchmakers. This more relaxed group insists that so long as a watch is conceived, designed and assembled/finished in the UK it’s British, even if some of its parts are assuredly foreign. I agree, not least because I believe that allowing British brands to grow organically by initially finishing their pieces in the UK will ultimately facilitate domestic manufacture of more and more of the watch here, and that’s already happening as we’ll explore in a moment. Let’s celebrate it, not grumble about it. Today we’re going to take a look at three very different British brands, none of them the preserve of Oligarchs, all real options across price brackets in the mid and luxury sectors. We’ll then look more closely at one example, as usual with these articles. They’re all watches I like, which is why I’ve chosen them (there are a number of British watches I don’t, but that makes for miserable reading the week before Christmas – ‘tis the season not to be a Grinch, I say). There’s an argument that Sussex-based Schofield, our first brand, is spiritually closest to the world-view of the watchmakers of England’s late 18th and early 19thCenturies given the little company founded by Giles Ellis seems determined to innovate endlessly and has little regard for the rules. The inspiration for Schofield’s pieces is positively traditional – lighthouses, the sea, the English landscape. Yet the watches themselves look and, perhaps more importantly, feel like nothing else. The ethos may be as old as the hills but the delivery is wholly contemporary. I’m a huge fan of the way both of these sides of a Schofield watch’s soul are obvious as you turn one over in your hands, from beautifully enamelled dials to the sweep of the case and the waxed cotton strap options. They’re about style and concept first and foremost. No Contrôle Officiel Suisse des Chronomètres’ certifications or 500m+ water resistance here. But they’re not cheap, and this combination means you have to love them to have one. Entry today is the “Beater” – watchie slang for a trustworthy everyday workhorse you don’t mind dinging, although at around £2,800 their definition of “everyday” may not be quite everyone’s. The Beaters will be replaced with a new entry watch in 2016. At the top end sits the limited edition £10,000 Blacklamp Carbon and the Signalman and Silvertop sit between the two. Whichever Schofield you look at though, there’s little room for the middle ground. They’re Marmite watches, unashamedly and deliberately unlike much else. If you get them, you tend to fall for them deeply. If not you’re left scratching your head. Coming from a completely different angle is Oxfordshire’s Pinion, founded by former digital designer Piers Berry, who decided life was better analogue in 2013 and formed a mechanical watch company which has taken the core aesthetic of classical gents’ watches and chronographs and added some subtle contemporary fizz at its Henley workshops. They are “safer” in design terms than Schofields and aimed at a slightly more traditional watch buyer. What emerges is a collection of striking pieces which appeal to those with classic tastes but who want to buy a watch designed and assembled in Britain, and which has its own subtle differentiators. From the original Axis to the Pure and on to the piece which has really caught attention in recent times, the Revival 1969 Chronograph (limited to 100 pieces using previously unassembled hand-winding Valjoux 7734 movements, altered and upgraded in Henley) Pinion have chosen well-executed contemporary classic over radical. But classic British things are very much in vogue too, which is why Pinion has marketing hook ups with some very hip companies indeed, such as Japan’s Iron Heart selvage denim company. The Pinion range is due a major refresh in 2016, to include evolutions of the Revival (to be called the R-1945, running a version of the rare 1940s Valjoux 22 movement) and the Pure, as well as a second generation Axis. The existing range starts at £1,995 for the Axis Automatic in steel and tops out at £4,950 for the Revival 1969. Our final British firm, and our focus today, is really the daddy of them all (although they’d hate to be described as such). Bremont Chronometers, whose watches you’ll find in good jewellers everywhere amid the Rolex and Omega display cases. More than any other modern British brand Bremont has crossed the Rubicon from the slippery banks of niche production to the sunlit uplands of mass market recognition in the luxury sector. Their own boutique outlets in London, Hong Kong and New York (the “right” bits of them too) attest to this. The reason why Bremont has managed to make this leap are twofold. One is certainly the watches, of which more in a moment. The second though is what they represent or, if you are more cynical, how they are marketed. Founders Nick and Giles English share passions for motor racing, classic cars, aeroplanes, motorcycles and a dollop of military history as well. As anyone who enjoys any of these things knows, where you find them you also tend to find a love for watches. Bremont’s offerings have been closely associated with all these pastimes. Sometimes through clever brand link-ups with the likes of Norton or Jaguar, or by using materials taken from WWII fighters or Enigma code machines in manufacture, through to Bremont’s Military division which sells personalised versions of its watches to regiments or squadrons. In all this the company has created a large pool of well-connected, influential brand advocates who spread the word. None of that would have worked, though, without the watches themselves being very good; and they are. The entire core collection is C.O.S.C certified and all its pieces carry a three year warranty. It’s serious performance wrapped in sharp design with its roots in history – a combination which has been commercial dynamite. Moreover, as an example of my belief that British watch companies become more British as they becomes more successful, Bremont is something of a standard bearer. Its watches are assembled in Oxfordshire but it recently opened a state-of-the-art manufacturing facility at Silverstone, home of F1 and British motor racing. That is already allowing it to produce many of its own case and movement components as it moves towards full in-house movement status. This is a major investment and, I suppose, a risk by the English brothers, but it represents a big step towards what has always been the end game for them – a watch designed and built entirely in the UK. There are some very good people working on how that will eventually look and, when it happens, it will be a watershed for the industry in Britain. Bremont’s range is growing but at its core sit numerous variations of two absolute cornerstones of gents’ watches – the pilot watch and the dive watch. Today we’re going to take a close look at a Bremont which really captures how far the firm has come, and what I think is one of the best pound for pound watches you can buy. The £4,395 Oracle II, limited to 535 pieces, is significant for a number of reasons but chiefly because it is one of the watches which marks Bremont becoming the official timekeeper of the America’s Cup yacht race, something previously the preserve of far bigger names in watchmaking. It is also a key sponsor of one of the boats, Team Oracle USA, the crew of which have all been given Oracle IIs. For a relatively small British watch maker this is huge international exposure. Like the Oracle I the second watch in the line is based in part on Bremont’s successful Supermarine dive watch, with 500m water resistance and automatic helium escape valve. The Oracle II, though, uses titanium and sculptured DLC in parts of the case build which, like so many Bremonts, reveals more complexity and features the closer you get to it. The most obvious change is of course the addition of a second time zone, enabling a GMT function. The combination of the four hands, both colour and design, is what really makes the thing work for me. It could have been terrible but it’s like Goldilocks’ porridge, just right. That balance continues wherever you look, from the powerful but unobtrusive crown guard to the bezel. Turn it over and over in your hands and the proportions of the design never fail. It’s also changed colour from the Oracle I’s white to more traditional (and, let’s be honest, saleable) black but still bears the “America’s Cup” name on the varnished matt dial above 6 o’clock. Both Oracles use Bremont’s anti-shock movement mount and anti-magnetic Faraday cage which encases a modified caliber 13 ¼” BE-92-2AE movement, a decorated and upgraded ETA unit. Looks and performance are the key to selling a watch, but as a punter that nebulous phrase “how it wears” is key to whether you come to love it. The 43mm Oracle somehow shrinks on the wrist, feeling snug and slipping under shirt cuffs rather than trying to escape as so many taller watches do. The kevlar strap, which is available across the Bremont range, is also something of a revelation. It’s not a material one thinks of as comfortable but it is that and then some. I’ve also not worn anything in a long time which has gleaned such universally positive reactions from people. They are initially struck by how handsome it is, then by the detailing on closer inspection and finally, if they don’t know Bremont, they’re delighted to learn it’s British… rather like drivers who’ll let a E-Type out of a side road but not a Ferrari. One tries not to be too much of a cheerleader about these things, which is tough with a watch I like as much as this one. However, after hunting for something less than glowing to say about it I’ve come up with the fact it says “Team Oracle USA” on the caseback. Sorry chaps, but I’ll be supporting the Brits. It only remains for me to wish all of you a very merry Christmas, and a prosperous and peaceful 2016, and I hope very much that Santa is kind to those of you hoping for a Patek Philippe under the tree. Hot on the heels of yesterday’s video here is the announcement of the next watch in Bremont’s Jaguar range, the Mark III. The MKIII is the most pared back timepiece in the range yet still very much in keeping with the design of the MKI and MKII. The MKIII by comparison has a slightly slimmer 43mm polished steel case; the black tachometer-inspired dial design features the date window at the six oíclock position and carries the Jaguar heritage logo right above it. Its hour markings are reminiscent of the numerals found on E-Type instruments and the dial features a distinctive ëred lineí quadrant between three and four oíclock also paying homage to the E-Typeís tachometer. As with the other models in this range the iconic winding crown harks back to the Lightweight E-Type using the same original Dunlop tyre tread, topped with the Jaguar heritage logo to match that of the dial. Turning the MKIII over reveals further automotive imagery in the form of its closed case back, inspired by wheel centre detailing from the E-Type. The 43mm stainless steel case – which is fitted with a double-domed crystal to enhance the vintage appearance of the watch – is made entirely in the UK by Bremont using its renowned, three-part Trip-Tick® technology that also incorporates Bremont’s anti- shock movement mount technology. Are Roger W. Smith’s new watches the finest handmade timepieces ever? I have just come across this exhaustive view of Roger Smith’s watches. We’re proud to be able to say that SalonQP has a long and successful history of launching brands – Schofield, Pinion, Meerson, and Emmanual Bouchet to name but a few. This year was no different, with Czapek & Cie perhaps the most high-profile brand to make its debut. But there was also Dennison. It may not be a name that springs readily to mind, even for really battle-hardened watch enthusiasts, although it does have some interesting connections. 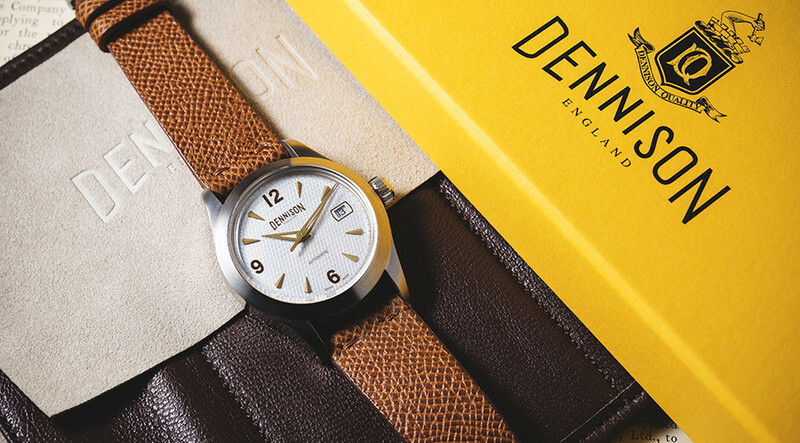 Set up in 1871 by the founder of Waltham Watch Company (who had recently moved to England, settling in Birmingham), Dennison made a name for itself as a casemaker. In 1914 it produced water-resistant pocket watches for Shackleton’s Antarctic expedition, and the following year it began supplying the British military. Working for Rolex, Omega and Longines, Dennison spent the 1920s and 30s growing its output to 250,000 cases per year. It worked with Rolex on pre-Oyster cases, and in the 1940s cased Omega’s earliest automatics. Jaeger-LeCoultre, IWC and Zenith were also clients. In 1953, Sir Edmund Hillary wore a Dennison-cased Smiths watch to the summit of Mount Everest. Production came to a halt in 1965, however, and the Dennison name fell dormant until 2010, when Toby Sutton of Watches of Knightsbridge registered the trademark and began working on a revival. This year at SalonQP, we saw the result of his efforts: two new Dennison watches, presented for the very first time. Inspired by the expedition pieces of the 1950s, the Revival watches (as they are being called), have their cases produced in the UK using some machinery from the original Dennison factory. Inside are ETA-2824 calibres – solid, no-fuss, dependable movements that suit the watches very well. The dials are where the most effort seems to have been expended; we have black and white versions with a very on-trend vintage-style “honeycomb” lattice dial pattern, and oversized triangular hour markers and faceted dagger hands that put one in mind of a Tudor Oyster Prince or an Omega Ranchero. 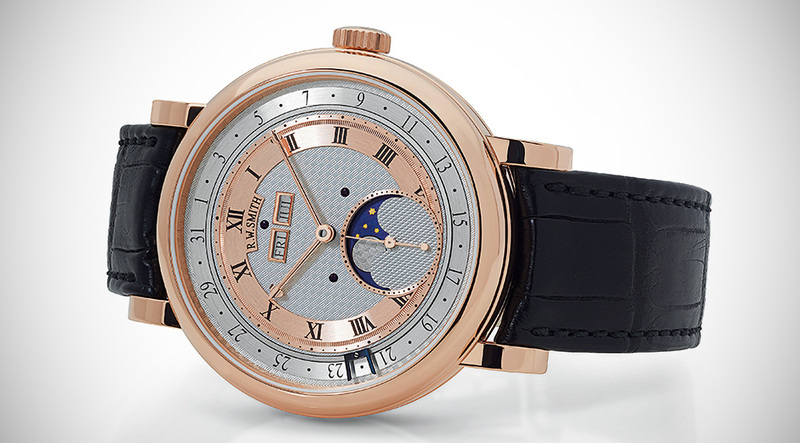 There are 6-9-12 Arabic applied numerals, a date at 3 o’clock and luminova on the hands. The case is 38mm wide (again, bang on trend as well as relatively faithful to the scale of the 1950s originals – they were 32mm but Sutton rightly admits that that’s just not a workable size for a men’s watch in 2015) with a screw-down crown. The watches also use plexiglass for that retro feel, and are offered on some rather nice leather straps. The watches will retail at £2400. So far the biggest news emerging from London’s Salon QP show is the full range of Roger Smith watches. This is the Series 4 below. I wanted to put something on the blog about this as soon as possible. The quickest way was to attach this link to the excellent Hodinkee article. I hope to give my own view after I visit the show this Saturday. The familiar environs of the fine watch world – the rarefied factories of Geneva or the glossy stores of Bond Street – are a world apart from an unassuming street in south London’s Elephant & Castle. The tiny workspace that makes up British timepiece specialist Hoptroff’s HQ is like the horological equivalent of the Old Curiosity Shop, only with a dash of luxury fairy dust sprinkled throughout. For it’s here that physicist, archaeologist and amateur pilot Richard Hoptroff is pushing the boundaries of watchmaking through a series of pioneering innovations that have changed the watch world. We like challenges here,” he says, by way of understatement, referring to the project that will launch at fine watch fair SalonQP next month; the Hotblack True Tide. This timepiece will be able to tell the tide times at over 3,000 ports across the world, syncing up with a smartphone containing information relayed via Bluetooth into a chip in the watch, with the traditional dial on the face swinging to the relevant numbers. But what sets Hoptroff’s technical wizardry apart from the smart phone generation is that this complex technology comes in the form of handsome, classically designed watches that look mechanical rather than digital. “The watches are ‘smart’ but they are traditional looking, beautiful pieces. Primarily a watch is a thing of beauty not utility. We don’t even need watches to tell the time these days so you wear it to look good and feel good. The ‘smart’ element is displayed in a more considered way than just a screen,” Hoptroff says. It’s this thread of innovation that led Hoptroff, who started working in forecasting software, to create the Atomic, which lays claim to being the most accurate timekeeping device of its size, not to mention being the world’s first atomic-powered watch. It was developed in 2013 using chips taken from US military cruise missiles (and no, he can’t divulge what’s in them – it’s top secret) and runs at an accuracy of 1 second to every 1,000 years. In layman’s terms, it’s more accurate than Big Ben. Currently working on refining the size of the timepiece to make it viable for the wrist, Hoptroff has also recently created the No.9, a watch that tells the share prices on a dial on the face, synced up once again to an app, and the No.15, a watch with an embedded compass that indicates the direction to Mecca and relays the exact times of prayer. In his inventor’s studio, overflowing with devices such as a Crookes radiometer, circuit boards, balance springs, cogs, studs and escape wheels, Hoptroff’s mission statement has always been to test the technological status quo. “We’ve refined our processes by trial and error. It’s not rocket science,” he says, although it sounds like it, “but you realise that by adding just a little bit of smart technology in an intelligent way, you can do amazing things. We employ technology but we do so in a personal way, so for your prayer times, or the device on the watch I’m wearing that tells me when anniversaries, birthdays and important dates are on a dial”. All this innovation in a package that’s infinitely more beautiful than a standard smart timepiece makes Hoptroff one to watch.